Arachnids are another pet that is polarizing. 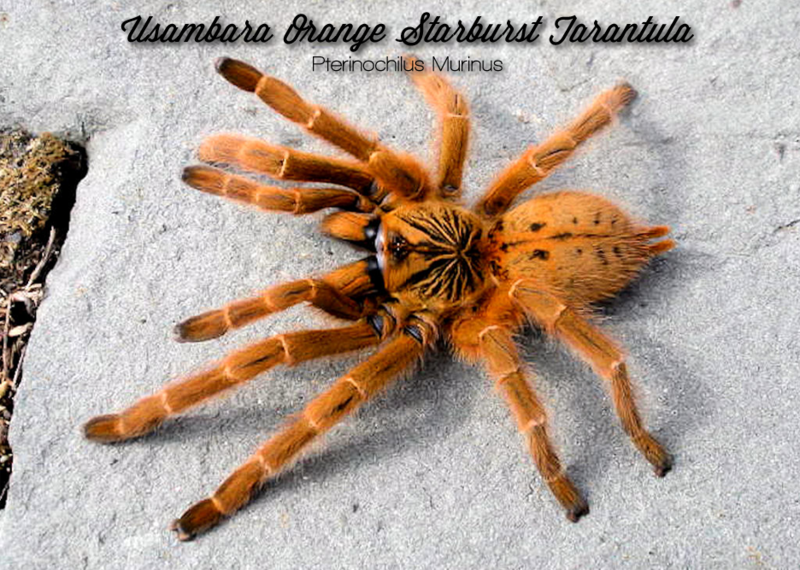 Most people either love them or hate them, but it’s hard to deny the beauty of these little guys. 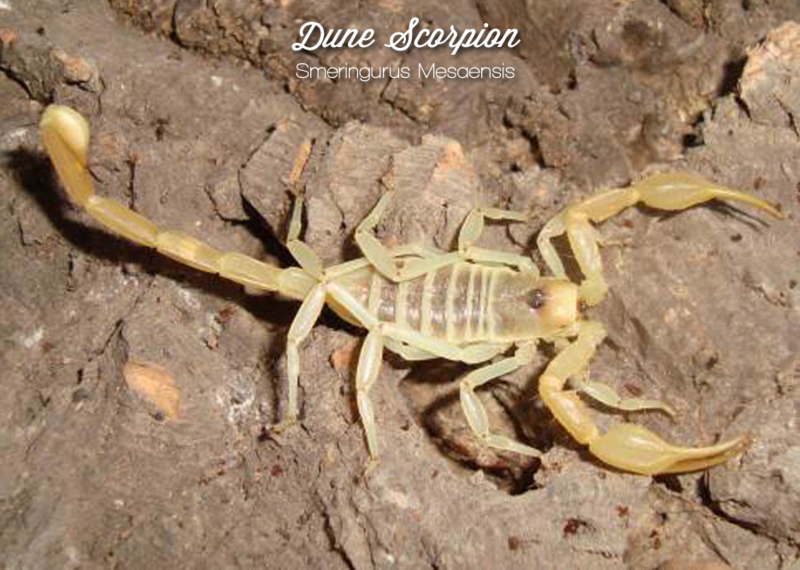 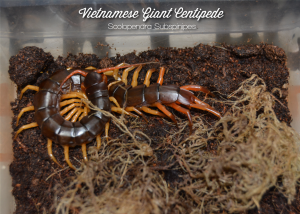 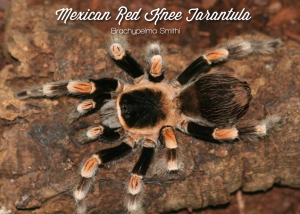 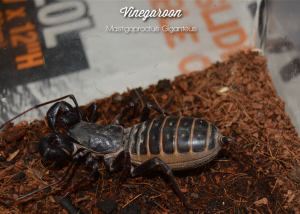 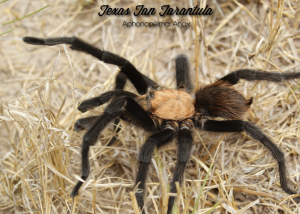 Arachnid keepers tend to collect species and we stock tons of them. 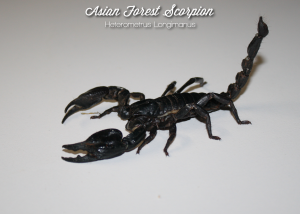 You will find a large collection of various species on hand at all times. 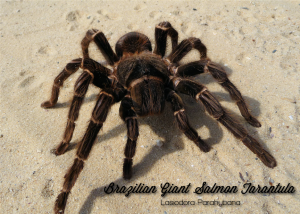 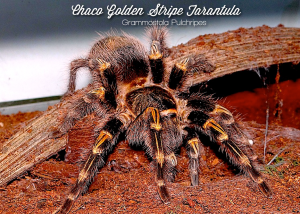 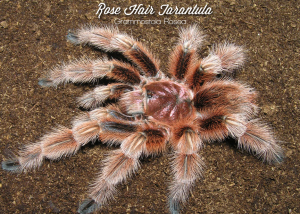 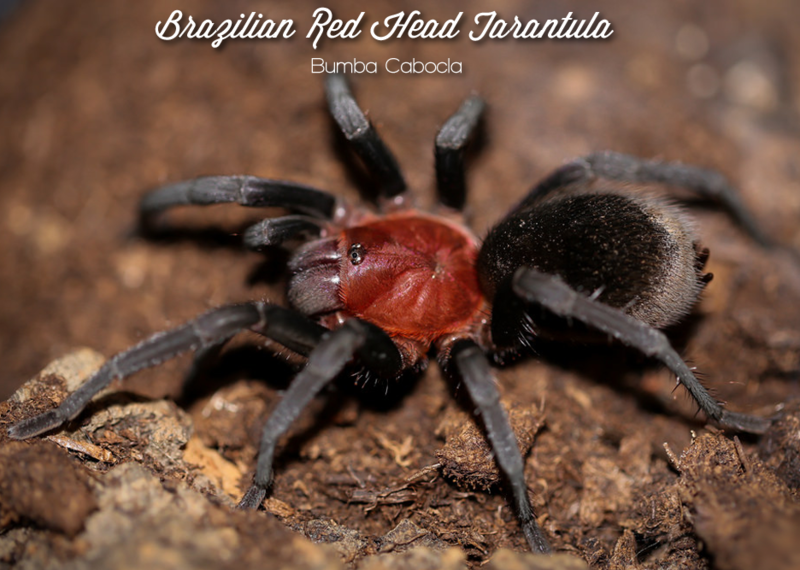 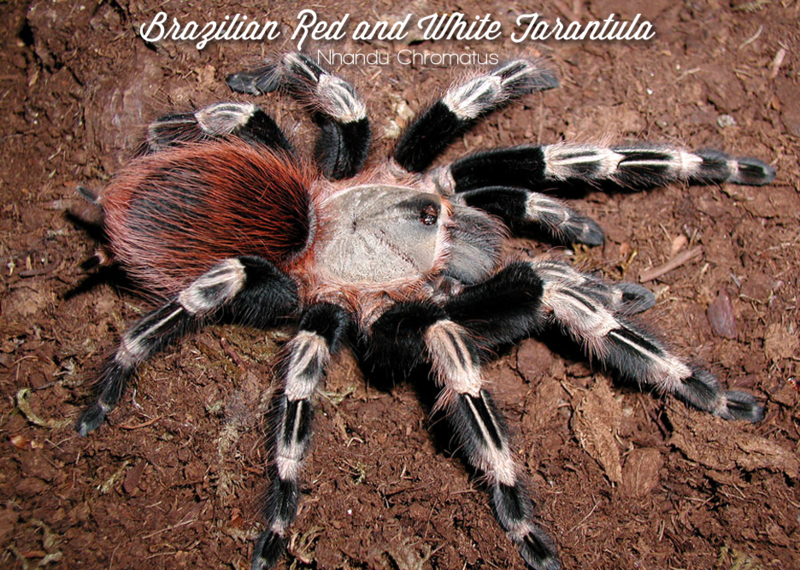 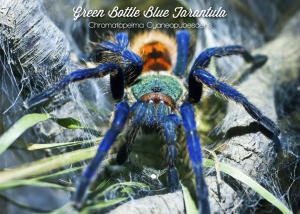 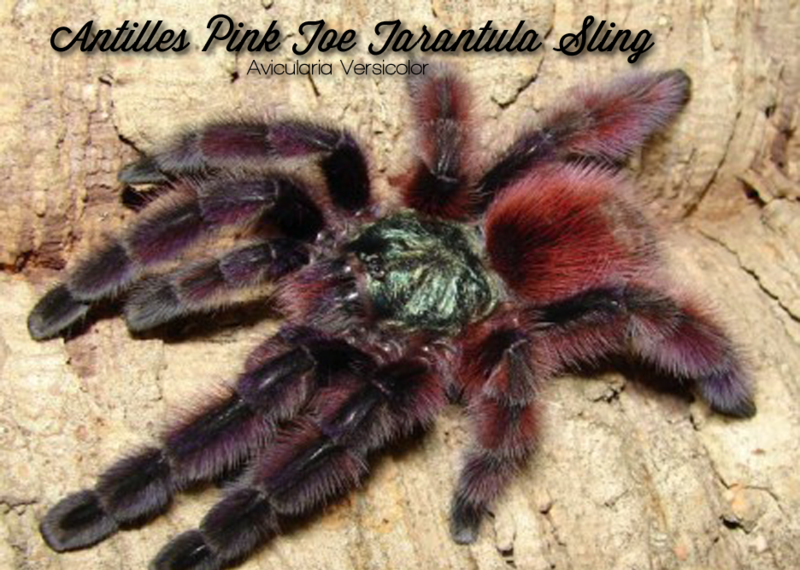 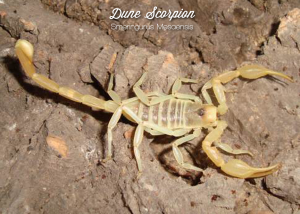 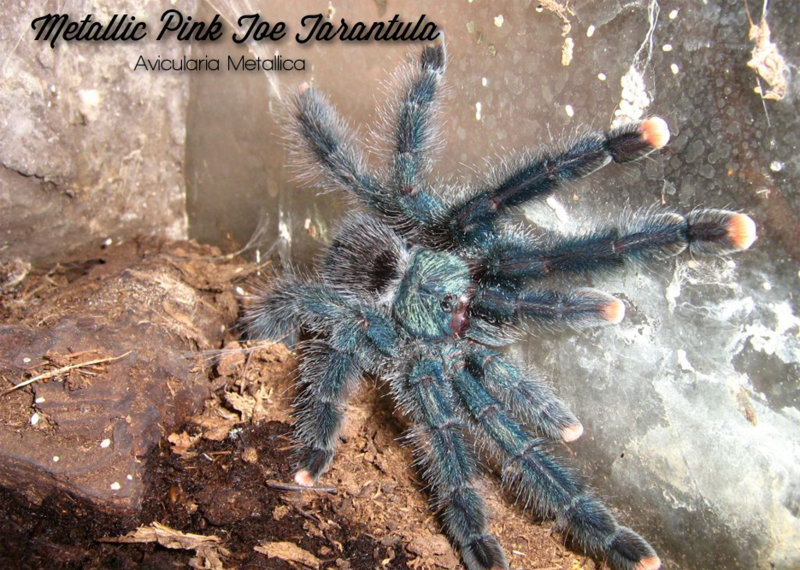 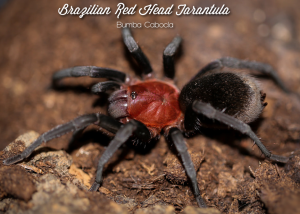 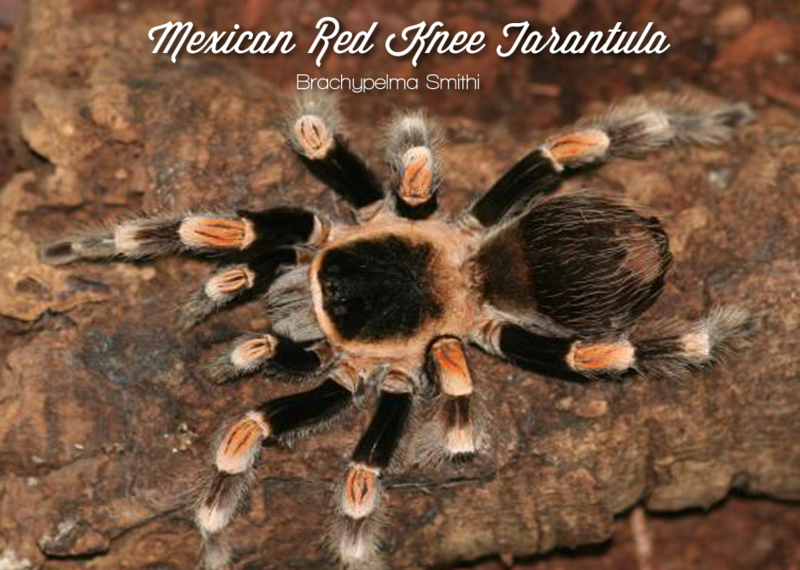 Our staff can help you find a new pet arachnid to hold or advise you on the ones that are best to observe only. Most arachnids stay small, requiring less room than other reptiles and we stock an assortment of appropriate enclosures for them. We work with many other local breeders and wholesalers to find you exactly what you’re looking for. If you don’t see the arachnid you’re looking for, be sure to contact us to help you find it! 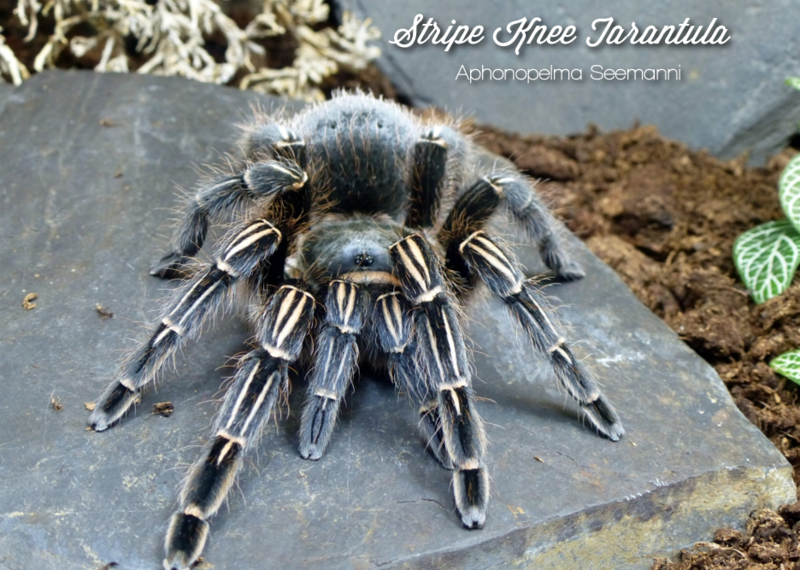 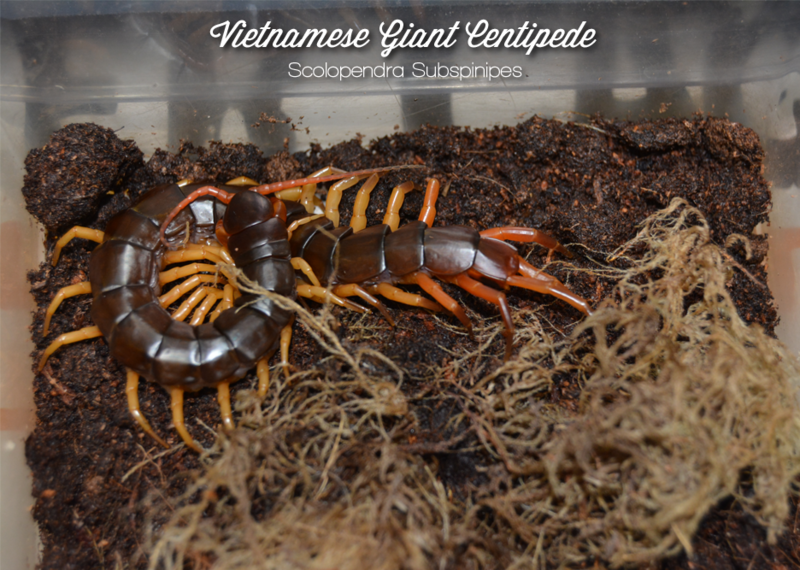 You can always expect to see some amazing new arachnids every time you come to the shop! 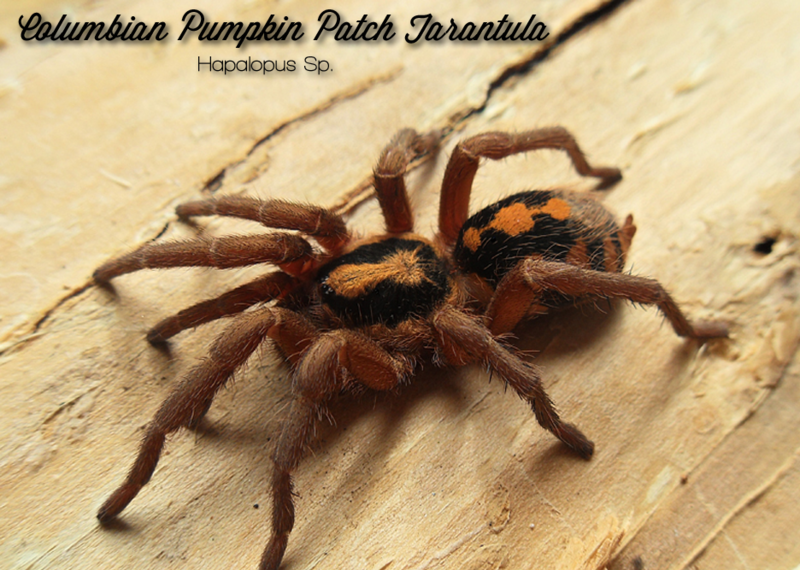 Columbian Pumpkin Patch Tarantula Hapalopus sp.